I have finally finished the first draft of my novel. It's been a long time coming, but years later, after ninety-six thousand words, I'm done. I've taken my time on this road, occasionally taking time off, sometimes more time than was good for me, but I've learned a lot during the process and I'm confident that future projects will benefit from what I've gone through to finish this book. Of course, I'm not completely done yet. It's only the first draft and I have plenty of editing to do, but I'm excited to send it out to some alpha readers and get some feedback that will give me an idea of what the readers are looking for. I know that certain chapters need some polishing and that some might need a complete overhaul, what I don't know is what's missing or what doesn't work at all. That's what alpha readers can offer and I can't wait to hear back form them. But now, on to what I've learned over the time that I've spent writing this puppy. Time: It takes me a while to get into my writing zone. I've found that if I know I don't have more than an hour to sit down and focus on writing, then I won't be able to concentrate and would much rather distract myself with something else. This has often led to me not writing at all on some days, and that's no good. I've learned that sometimes it's just better to sit down and tell myself "write!" It doesn't matter what or for how long as long as I keep at it. When I do find a larger block of time it will be all the easier to get into that zone and write like mad. Persistence: This is on a similar note as mentioned above and it had a drastic effect on how long it took me to finish this draft. After I ended up not writing for a couple of days, I found that a week had passed and then a month with no progress whatsoever. I didn't have a deadline so there was nothing much pushing me to get back on that horse once I was off. I told myself that I wasn't in the right mood and I needed to wait for some more inspiration to keep going. But that brings me back to my what I learned about time, because if I don't sit down and write, the chance of being inspired sinks dramatically. If I write every day, ideas and solutions to problems within the story seem to grow over night. Outlining: This is the big one. I've always known this about myself, I like things done a certain way, but I had to learn how I like to do things when it comes to writing. This ties in especially well with the reasons that sometimes led to writing droughts. I need to know where my story is headed and I work best if I've figured out what the most important parts of a chapter are, my story beats, so to speak. I found myself not wanting to continue on several occasions, because I didn't quite know what should happen next. I was stuck and didn't know how to get free. I can think of two situations where persistence was key, because I just sat down and told myself to write. I began and at some point things started to flow again - what I had written wasn't necessarily good, but while writing I found where I wanted the chapter to go - and I was free to continue writing the story. For a long time, I knew what my big ending would look like. I had a few scenes in mind, but the overall picture was still pretty hazy. I didn't quite know how I got there and what some of the characters would be doing. I also felt like there was something missing. A lightning bolt of inspiration struck at some point and the tools of outlining that led me to the ending that I didn't know I was missing until I had planned it all out. These are the main things I've learned, but there are many more when it comes to writing prose. I'm excited to see how my experiences for this novel will help me write the next one. It's November in a few days and while my alpha readers get busy reading my first draft, I thought, I should get busy writing a new first draft for another book. I don't think there's a better time for this than NaNoWriMo. This will be my first time participating, but I'm confident I'll get a heck of a lot done in this coming month. I love anthologies as a reader and a writer. As a reader, anthologies offer a wide variety of different authors and styles all surrounding a theme. Sometimes the theme is rather broad for a "best of the year" anthology, while others have very specific themes that focus on an idea or setting. And that is exactly what I like about anthologies as a writer. There are many open calls for submissions when it comes to anthologies that have a very specific theme, you just have to find them. These themes offer inspiration and are a great incentive to work on a story. At present, I am very excited about one anthology in particular for which I have a great story I want to submit. The anthology is called "Guilds & Glaives" edited by S.C. Butler and Joshua Palmatier to be published by Zombies Need Brains. This small press funds its anthologies through Kickstarter projects and their current project will produce three anthologies if funded. Guilds & Glaives, The Razor's Edge and Second Round: A Return to the Ur-Bar are the names of the three anthologies and each will contain approximately 14 original short stories, half of which will be written by established, well-known and beloved Science Fiction and Fantasy authors and the other half will be filled through a call for open submissions. The Kickstarter still has 6 days to go and is still in need of funds to reach its goal. Here is the link to the Kickstarter if anyone is as interested in seeing these anthologies published as I am. Another reason why I think this project is so cool is what Joshua Palmatier is doing to promote the project. He is the founder of the small press Zombies Need Brains and has already produced seven quality anthologies. He posts on Twitter daily with new posts on his blog giving advice for writers. He started out with 9 informative and interesting posts on how to create an anthology and has moved on from there to elevator pitches, query letters and synopses. He gives great advice and has lots of links to other well-known authors and their advice on the same topics. I think he's doing a great job of giving back to the writing community. So the writing community should do its best to give back to him and help fund these three anthologies. We'll all be the merrier once these great collections are published and can be read by us, with or without our own stories on the pages. I recently looked back into some old word docs that I had on writing from when I was just starting out. At the time, I had a few ideas that were mainly focused on my Of Orcs and Men series, originally called Battle of Blood and Treachery. I was struggling to find new ideas and different settings to write in and wanted to expand my craft. That led me to the idea of creating a story at random with the help of rolling dice. I was of course influenced by role-playing games, but also by a book called "The Dice Man" by Luke Rhinehart. The novel is about a psychotherapist who casts dice in place of making decisions. It leads him down a perilous road, but the thrill of having to do what the dice tell him is too good to stop. 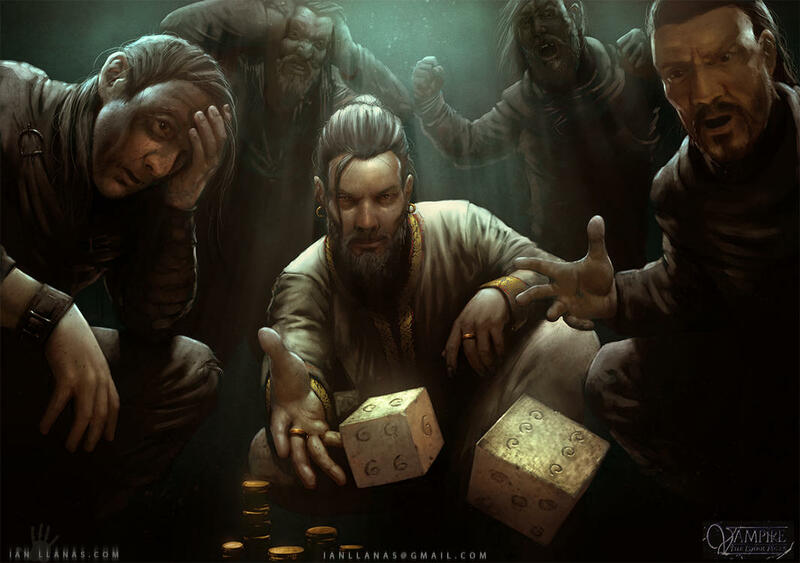 Fitting to rolling the dice, I found some great artwork by Ian Llanas. He has some more great stuff on his Deviant Art's page or his website. Back to my random novel idea. I knew I wanted to write other things and of course, I had specific settings in mind, but I had no story ideas, no characters, no conflict. I was basically starting from scratch. So, I set up a plan for how to go about creating a story with semi-random elements, which ended up turning into the novel I am writing now. First, I needed a world, a time and place: the setting. This is partially a genre selection, but since my interests have always been focused on fantasy, I made a list containing medieval settings with or without magic, supernatural and superhero settings, steampunk and urban fantasy. I had fifteen settings, some of them very specific like an "A Song of Ice and Fire" setting. Don't do that. I've written a lot since then and have learned a lot. You can of course use other known settings as inspiration, but you should really try to make the world your own. For my novel, I ended up with a contemporary setting in which there are people who have special powers. I decided that these powers have been present throughout our history and were responsible for witch hunts in earlier centuries. The existence and reality of these powers were forgotten until they resurfaced within the last century and the people with these powers were no longer persecuted. This is a rough draft of what my setting looked like before I started writing. After you have a setting you need a plot, at least that was my idea back then. Others might want characters first and go from there, but I had specific overall themes in mind and made a list of nine major plots the story could be focused around. I originally rolled the dice and ended up with "Power" as my main theme. So I knew there was going to be at least one antagonist who wanted to become more powerful. Did he want more magical strength, money or more political power? I didn't know yet, but that brings us to the next bit: characters. The first thing I had to decide was how many characters I would have. Here, I made a rookie mistake. The more point of view characters you have the harder it is to write, especially when you are a novice at writing. I knew that I would at least want four characters, but I was also really into "A Song of Ice and Fire" where it seems you can never have enough characters. So I decided twenty would be the maximum amount of characters that I should have, the dice would probably give me a lower amount anyway. I rolled the dice and ended up with fourteen characters. That is way to many, especially for your first novel. However, the dice had made their decision and I followed without question. A few months after I started this project, I enrolled in a "Novel Writing" course and quickly came to the conclusion fourteen was too many. I cut it down to six and my tutor told me that would still be a lot for me to handle as the writer, but could also be too overwhelming for the reader. So, I cut it down to four. The character creation was also randomized by giving them different personality traits from a list. They each got two traits, decided by the the roll of the dice. I did the same with their first and last names and their individual magical abilities, which I borrowed from a role-playing game I was playing at the time and then heavily modified to fit my setting. Last, I gave each character (I still had fourteen at the time) a reason for being involved in the main plot. This list of reasons was a modified version of my plot/theme list and gave each character an individual quest or conflict. So many of my characters randomly (by the luck of the dice) ended up being in debt or finding themselves in need of a lot of money quickly so that "Money" became a second theme of the story. Things developed more naturally from there, without the help of rolling the dice. I found my antagonist who was power hungry and took advantage of people in need of money, forcing them to do his evil bidding to become more powerful, politically and financially. 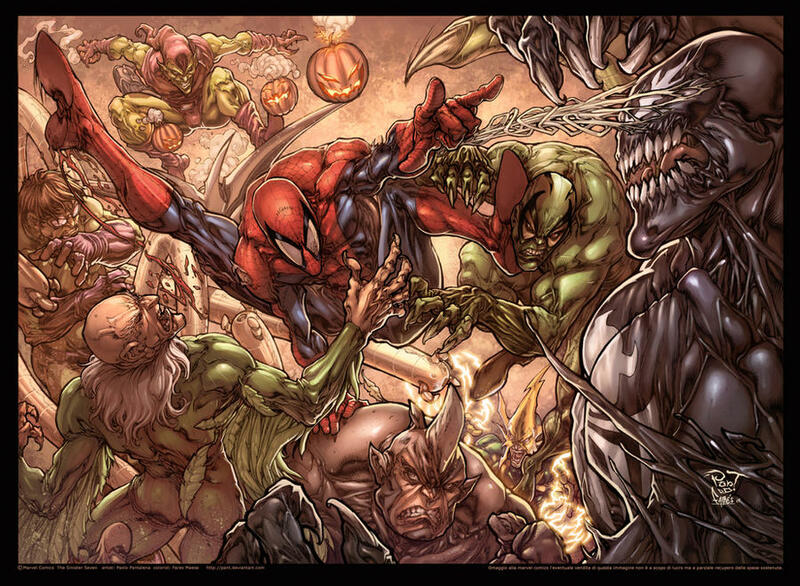 A group of other characters became my "heroes" who would combine forces to bring an end to the "villain." This is a rough depiction of how my novel idea started. It helped me when I didn't know what it was that I wanted to write and I think a great story grew out of it. For the fun of it, I think I'll have more posts on this method in the future where I explore what other stories could grow randomly from the wiles of the dice. I've read quite a few books over the last couple of months and I've often thought about writing some reviews. That's not what I'm going to be doing here though. I feel like reviews should be written shortly after reading so that everything is still fresh in your mind. Also, these are a lot of books and writing a review for each of them would be a very long post. Instead I thought I'd try something a bit different to show what I like as a reader and to focus on one thing that really stuck with me even months after reading. Spoiler Warning! Some things that I mention will have spoilers, especially since most of these books are sequels. Spoiler! The reveal that several scenes from earlier books are delusions from one of the characters. It really made me want to reread the earlier books and it shed a completely new light on the character. Spoiler! The revenge. Uhtred has many scores to settle and he does so in this book with a very fitting end for one that has done him and his Danish family much harm. The last book ended on quite the cliffhanger, begging me to purchase this final installment in the series. I enjoyed how things started out on a pretty bad note and just got worse and worse without you, the reader, or Dexter being able to see the what would go wrong next. This book has too many great things to choose from, but since I have to choose only one, I'll take a broad term that covers many things and I'll name one specific example. What I really enjoyed was Rothfuss's use of foreshadowing. Especially, when it comes to Kvothe having learned to play the lute with only six strings. I just love the thought of the gateway between the two worlds. I think I'm strongly influenced by the movie version, because in my head I see this tiny wall that is easy to jump over, but it is the hole in the wall that is the gateway. I believe Sanderson called the giant swords and heavy plate they wear in this a gee whiz factor and I agree. The magic is great, but fight scenes with the shards definitely left an image in my memory. The POV from a Parshendi is one of the greatest things in this book, because their culture and their entire being is so different from ours and Sanderson does a great job of showing it. Spoiler! The twist at the end. Finding out who the Kandra Wax is after actually is and what role she played in his past. The books have always centered around one geographic area and since the world has gone through such drastic climate changes life in other regions was never thought of. But life did exist and Sanderson's other sentient beings on this world are so original and their use of the magic is so different it really stuck with me. Spoiler! The consequences of having several gods go through great gates will be catastrophic in my eyes. I'm excited to see how things continue in the next installment. A fight club with jokers! I'm in. Granted, the story is about stopping what is going on and saving the poor jokers who are forced to fight each other, but the idea is great. If I hadn't already been influenced by an old Angel episode this would have ignited food for thought for a story idea. There were a few things that I didn't like in this book, but since I'm only naming one thing that I did like, I'd have to go with the main character's quirkiness. To me at least, the character was quite original and amusing. The ending. Without spoilers, I just have to say that so many threads of the story line take such an abrupt and horrible turn that I didn't see coming. I felt loss at the death of some and satisfaction at the demise of others, all of it masterfully done. I was wondering the other day how there seem to be so many writers out there who can say, "I always wanted to be a writer." They loved reading when they were kids and they started writing stories of their own early on. I didn't have that. Actually, I have video footage of me unwrapping presents on my seventh birthday and saying, "more stupid books!" Now that doesn't sound like a kid who wants to become an author some day. Looking at that video now, I feel really bad about how I acted, since my mother was an avid reader and wanted to encourage me to read more. Eventually, when I was thirteen I ventured into the world of books and started reading a book here or there. The Hobbit was one of them, which opened a doorway into fantasy. Ender's Game was another that introduced me to science fiction. Harry Potter was another great influence. However, it wasn't until I was about seventeen that I went into the bookstore and searched for a new book to read. Until then, I had only picked up books I had at home that had been birthday or Christmas presents. Mostly sequels to Ender's Game and Alvin Maker, another one of Orson Scott Card's series. When I was in that bookstore I made a list of several books I wanted to have just from reading the back cover and the first few lines to see if I like the author's style. I distinctly remember three books I had on that list. The Game of Thrones, Orcs and Quicksilver Rising. 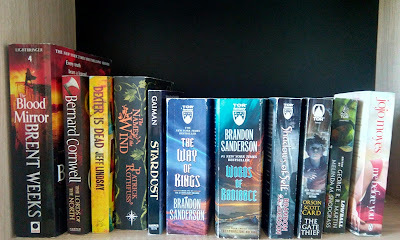 Orcs was the first one that I read on a summer vacation. It was an omnibus edition, three books in one and thus a quite big book, bigger than any other book I had read so far. That didn't daunt me though, since it was action packed and was just the kind of page turner I was looking for at the time. That book actually lead to one of my first attempts at writing. I was sick at home and had been thinking about orcs and elves and started writing about a band of orcs that were waiting for the elves to attack them in the forest. They knew that it was on the elves home turf, but they were preparing an ambush. How that battle would have turned out, we'll never know, since I didn't finish it. That story didn't have an ending, but it soon lead to what would be the beginning of my Of Orcs and Men story. Of Orcs and Men started when I was eighteen and bored in class. I know, not the greatest example, but that's how I started writing this story. At first, it was all one big battle and didn't have much of a plot, but it did have the style of jumping from one POV to another between orcs and humans with every scene. So that's when I started writing, but I realized that I started telling stories a lot earlier. As a kid I used to have a great action figure collection. I had all kinds of superheroes like Spiderman, Batman, Goliath from the Gargoyles, all of the Teenage Mutant Ninja Turtles, I even had Captain Planet. I also had lots of the villains, maybe even more than the heroes, because lets face it, the villains were always cooler than the heroes. I'm not entirely sure how other kids played with their action figures. I imagine that they would pick two or three and just have them fight and usually the hero would win. End of scene, end of story. But for me the story never ended. My entire room was set up to house the villain lair in one corner where all the baddies were plotting their evil plans and in a different corner the good guys had their headquarters. I even had a few neutral encampments spread out here and there in the room. I was lucky that I had such a large room otherwise I don't think all that would have been possible. Years of playing with these action figures turned into an epic saga of Good and Evil fighting it out on the carpet. Heroes turned on each other and villains switched sides for their personal gain. There were treasures and weapons that everyone tried to get a hold of to become more powerful. And the story never ended. If I had to stop playing to go outside or eat a meal, I would set everything down like putting down a book or pausing a movie. Then when I returned I would keep going from where I left off. Occasionally, some figures would break, they would lose an arm or a leg. Sure, that could be upsetting as a child, but I'd get over it and patch them up somehow and have them deal with their situation. Nowadays, I call that character development. Sooner or later some action figures became dated or were so broken they weren't fun to play with anymore, but even then I didn't just throw them in a box and stop playing with them. They received a meaningful final scene in which they might have a heroic death and their demise could lead to further conflicts of revenge. The epic story I was playing out with my toys as a kid is one of the greatest memories of my childhood, because it meant a lot to me and I was so involved with the characters. I missed out on reading and connecting with fictional characters in books for a long time, but I was already telling a great story long before that and I'm sure that will influence the stories I'm going to write in the future. Fitting to my action figure epic saga of my childhood, here's a piece of artwork by Paolo Pantalena. He has a lot of great drawings of all kinds of superhero characters and more. The link is to his website, but I found this piece on his deviantart. If you like this piece, go ahead and look at what else he has to offer. 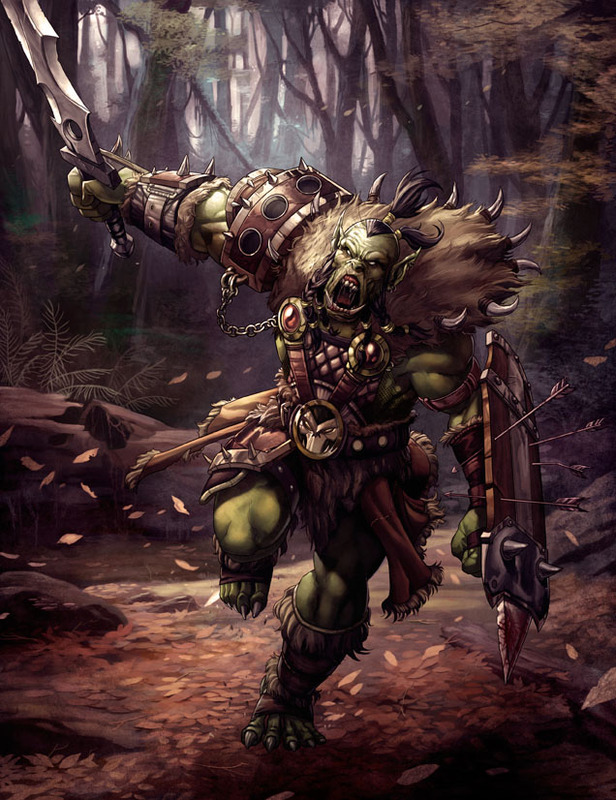 Today's focus is my story blog Of Orcs and Men, which is why I thought I'd go with a nice ferocious orc artwork at the top of the post. 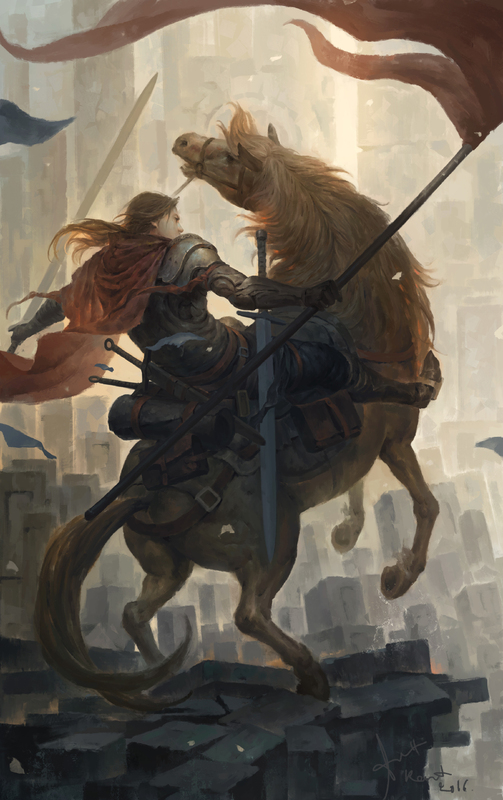 I really like this piece as it has a lot of detail and is just a great image to have in front of you when you're about to write about orcs fighting in a battle. kikicianjur has a lot more cool fantasy pieces on Deviant Art. If you liked this one go and see what else is out there. It's been a while since my last post on my story blog and the main reason is that I've been more focused on my novel of late. I also had trouble with the next viewpoint, but now the post is basically finished and ready to go. It should be online tomorrow. The trouble I was having with that post had to do with the character and setting of the scene. Also some hesitation about whose viewpoint is next and how quickly I want the story to progress. I've come to the realization that the story has always been more of a writing exercise and it started out with a very vague outline and just grew from there. For a while, I had been updating the story quite regularly and I enjoyed that, but looking back I also believe that I lost some time I could have invested in my novel. I gained a lot from the experience of writing, so the time wasn't wasted, but I could have been more productive on a more important project. In conclusion, I'll treat the story as what it was supposed to be. A practice project in which I work on my craft. From now on all of the new posts will be more of first draft and I'll try to explore more themes to widen my horizon. I still want to tell a good story, but I don't want too much of my time to go into this project that I have going on the side. Maybe I'll take some elements that I've experimented with or ideas that I've used here and implement them in future works or I'll end up taking all of the story and polishing it up so that it can be published. There's already a lot of good material there, but I've definitely improved as a writer since I started and I think I'd be able to do a much better job of it if I started all over again. That won't be happening anytime soon, but it's nice to think that the potential for such an undertaking is there. These are all just thoughts and ideas, if things don't work out as I imagine then I'll have to see where to go from there. I'll have another post up in a couple of days and like I said, there should be a new post on Of Orcs and Men tomorrow. See you soon. Wow. It's been a while. Look at all the dust and cobwebs here. I hate spring cleaning... especially in summer and when it's more than a year overdue. I'll just pretend I've done the cleaning and you readers can imagine a nice and clean work space. Sound good? Alright! That's better. So, where to start? There are several things I'd like to talk about and I'm planning on posting more frequently to address everything. My future posts will likely center less around promoting other people's blogs and artworks and will be more focused on me and my writing process. Blogs and art will once again be presented, just not necessarily in every post. My absence over the last year has several reasons that I won't get into, but my reason for returning is simple. I want to write! What do I want to write? Fantasy, mostly, and I'm doing that, but why should I limit myself. And why should I find myself struggling to get words on the page for a specific story when I could just as easily write something else to warm up my fingertips and get the creative juices flowing here on one of my blogs. So that's the plan and that's why I expect I'll be posting more often again. As it so happens, when I decided to return to this blog and thought I should find a nice piece of artwork to accompany it, I typed "return" into the search engine at Deviant Art and I discovered this piece titled "The Return." I've always been a fan of the medieval knight and I'm also of the belief that you can never have too many swords, so the four he's carrying should be sufficient. Lee Kent has some more cool artworks in his gallery on his Deviant Art page. If you liked this piece, why don't you go check it out. That's all for now, but I'll be back soon enough.